There’s something for everyone at Cairns ZOOM & Wildlife Dome. Get up close with our native Australian wildlife, including Goliath, our 4.1m estuarine crocodile, or experience adventure with our challenge ropes course. Enjoy breathtaking views of Cairns and Trinity Inlet from the top of our glass dome, or challenge yourself (and your fitness!) with our Commando Rope Climb or Pirate Climb. The Mid-ZOOM course provides an easier level of difficulty but you’ll still be up there with the birds! It includes a range of different elements requiring strength and balance. The Hi-ZOOM provides a greater level of difficulty, consisting of more complex crossings and ziplines for the more adventurous. We don’t mean to brag, but we’re pretty sure our Dome Climb offers some of the best views of Cairns! As you walk around the external 60cm wide platform, you’ll see Cairns from all angles. Try this enthralling free fall adventure and strike a pose for the camera. We have a selection of tours, shows and presentations for you to experience during your visit including Bird Feeding Tour, Reptile Presentations, Koala & Mammal Talks, Crocodile Show, Afternoon Feeding Tour, Nocturnal Mammals & the Small Bird Aviary. We want you to remember your experience at the Cairns ZOOM & Wildlife Dome so we have created special photo opportunities that you can enjoy during your visit. The Pirate Climb activity offers an exciting physical challenge to visitors, with participants climbing up a large cargo net … not as easy as it sounds! Once you reach the top, ring the ship’s bell to signal your success, before Power Jumping back down to the ground. The Commando Rope Climb is a 13m rope suspended from the Power Jump platform. If you fancy yourself a bit of a fitness freak, then this is the challenge for you! Our Private Wildlife Experiences will bring you face-to-face with some of our most popular wildlife animal personalities. If you’ve ever wanted to join the circus and become a tightrope walker, then try our Slacklining activity. 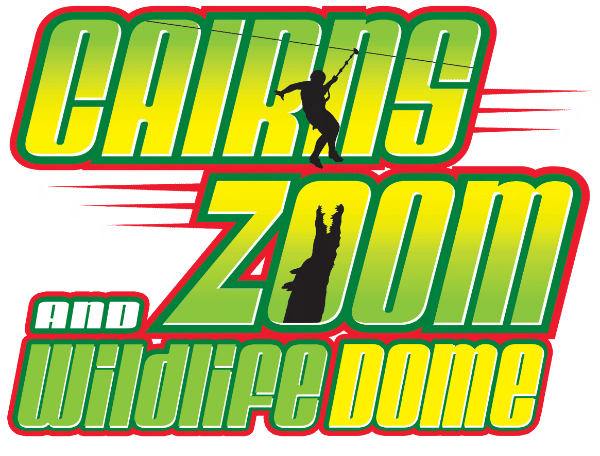 Cairns ZOOM & Wildlife Dome offers a wide range of challenging and fun team building activities.